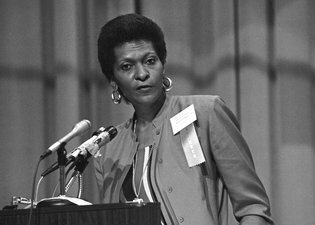 Marva Collins, a substitute teacher who cashed in her $5,000 in pension savings and opened Westside Preparatory School in Chicago in 1975, and whose success at educating poor black students made her a national figure, a candidate for secretary of education and the subject of a television movie, died on June 24. She was 78. She began with four students, including her daughter, charging $80 a month in tuition. Enrollment at the school, on Chicago’s South Side, grew to more than 200, in classes from prekindergarten through eighth grade. It remained in operation for more than 30 years. Her school combined discipline with a nurturing environment, and she bucked the education trends of the time such and “whole language” (shudder) by teaching phonics, the Socratic method and the classics (trigger warning to Oberlin students: the writings of dead white males). Her success made her a rock star in Chicago in the 1980’s, and she was a National Humanities Medalist in 2004. It used to be that things changed slowly enough that what you could learn in college, or even in high school, was all you’d need for a lifetime. That’s just not true anymore. The job you train for today might not even exist in 20 years; it certainly won’t be performed in the way in which it’s been trained for. Premiums are being paid to those who can adapt to changing circumstances. The wall separating school and life needs to be broken down. We’re have to keep learning throughout our lifetimes, because that which is learned through high school or college will soon become obsolete. Driving all of this is the fact that education at all levels is just too expensive. Like every other knowledge-intensive pursuit, technology will drive costs down significantly. This change won’t be good news to the medieval guild of teachers and administrators which now controls our public schools, but it will be a huge boon for the consumers: children and taxpayers. When something becomes cheaper, consumers consume more of it. If more people consume more education, we’ll have a more educated populace. Isn’t that what we’re supposed to be trying to accomplish? The passing of Marva Collins is a perfect time for Illinois to take stock of what’s going on with its education system and make the decision that it’s time to look to the future of education and become a leader in how we educate our children and fund our schools. Unfortunately, we can’t just fix school funding and then say we’ve solved the problem. 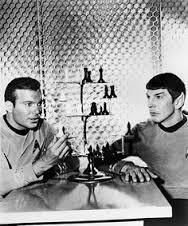 We’re actually playing a game of Vulcan 3-D chess, which contains a number of moving parts, including deciding who’s responsible for education funding, the actual funding levels, who gets the money, property taxes and pension reform. We can’t solve one problem without fixing them all. We can start, however, by enacting “backpack funding”. The concept is simple: instead of figuring out a level of funding per student and then giving that money to the district in which the student lives to spend, give the money to the kid and let the family decide which school is the best fit, including home schooling and online schools. Forcing schools to compete for those dollars will result in better schools. It’s a concept I think Marva Collins would have endorsed. If our legislators want to honor her at her passing, they can start with the Marva Collins Backpack Funding bill. Author’s note: Much of what I’m writing about education in this and other posts is discussed in Glenn Harlan Reynolds’ excellent book “The New School“, from which I’m shamelessly borrowing at great length. I hope that Dr. Reynolds will recognize that it’s meant as the sincerest form of flattery and not pursue me for plagiarism. This entry was posted in Education and tagged Backpack Funding, Education Funding, Glenn Reynolds, Illinois Legislature, Marva Collins, Westside Preparatory School. Bookmark the permalink.